Wow! I almost don't have words for how awesome Wondercon was. 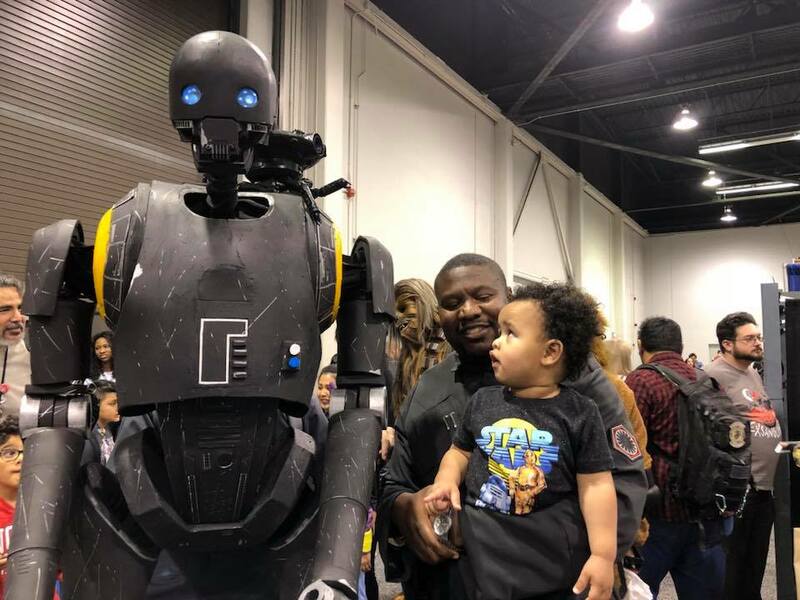 This was the con I wanted to premier K-2SO at last year but he wasn't done yet. I suited up with K-2SO at 8:00a and stowed him at 7p. He weighs 30lbs, all of which is carried by my chest harness when walking. I’m constantly sweating though this workout. I can only crouch with him for a minute at a time to get on a child’s level. And my feet are trudging in dive fin rubber for hours. But at the end of it all he’s my favorite character to cosplay. Every child lights up as he walks by. Adults love to discover the screen in his back and the hidden camera and technology that make him run. My Star Wars friends pose in amazing ways with him bringing out emotion from his unblinking face. Every Cassian and Jyn I meet check their hair in his joint mirrors. And when I speak through his voice I can make anyone laugh from a good dose of salt. He’s not even a year old yet but he’s already pushed me harder and farther than I thought I could go. In both puppeteering and character construction. This is the face of 11 hours of joy, sharing a creation among friends and peers. Thank you to everyone I met this weekend and your kind words and praises. 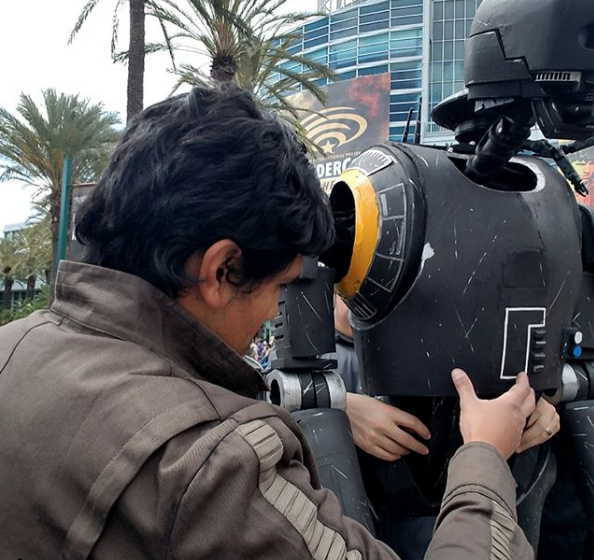 I am humbled by your attention and cannot wait to bring K-2SO to life again. .